Allen Weinstein founded the Center for Democracy, a Washington-based nonprofit, and remained its president until 2003. He served as archivist of the United States from 2005 to 2009 and has held professorships at Smith College, Georgetown, and Boston University. 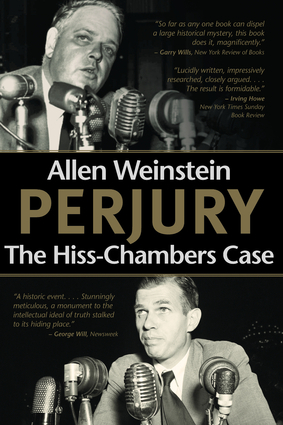 He received the United Nations Peace Medal, the Council of Europe’s Silver Medal twice, and the Edgar Allan Poe Special Award from the Mystery Writers of America for his original edition of Perjury: The Hiss-Chambers Case. His previous books include Freedom and Crisis: An American History, The Haunted Wood: Soviet Espionage in America—the Stalin Era, Prelude to Populism, and The Story of America.